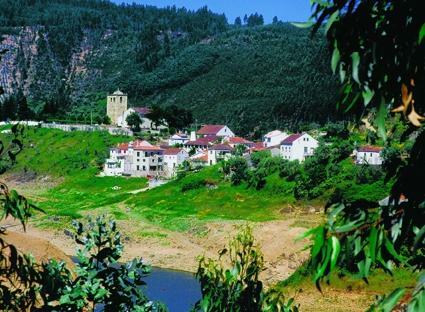 Tomar region is deeply linked to both the orders of the Temple and of Christ. These religious and military orders held vast territories, commendations, farms, olive oil presses, lands of bread and vineyards, among others. Remarkable sets include the farming estates of Granja, Anunciada and Cardiga. Donations made to the Order of Christ in the 16th century provided friars with spaces for their leisure facilities, prayer or convalescence. It should be noted also the Templar tower of Dornes Church and the Castle of Almourol, as among other points of interest for the history of these religious orders so important in Portugal´s assertiveness.